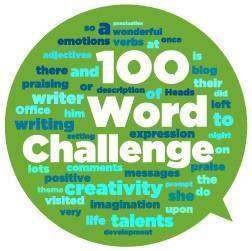 Mr Russell's Class - Page 3 of 41 - Welcome to our 100 Word Challenge blog - we LOVE comments! In my street there’s is a really ugly postman called Sam but people call him ugly Sam. One day ugly Sam arrived at my house ”when did it arrive i said while i was sniggering at his face in my head i was saying what an ugly man with long pointy nose and his triangle head ”I said thank you. ” Ugly Sam stared at me very anxiously he said what’s funny i said nothing suddenly i smashed the door on his face he stated banging on the door that was the day i made an enemy. FORTNITE… The game that took over kids teenagers and even adluts the world needs to look around to see what they have done. It s like a earthquake and on the background music it’s the best day ever song epic games developt the game by a few days moilions of players . By 2 months 20 moilions played fortnite I ordered V-bucks is the currency for fortnite I did when did it arrive I said it’s basically like save the world. You gotta kill the husks build sheild,s wait were do we pick off if u play the game your not coming back in the real world but. When did it all end! I was at home reading a book as my mum told me to come downstairs. I said what happened now my mum said a delivery came when did it arrive I said? My mum told me the story there was a knock on the door your dad opened it a strange man said this parcel was for you I said ok. The next day I opened it . It was a boring paintbrush my mom and dad were going to a party my childminder Jen had to take care of in the night we heard glass break. Downstairs we took weapons I took my paintbrush and we attacked my paintbrush glowed and said say go back in time and I changed time!!!!! It all started when my brother Jake got a box in the mail. I knew something was up because he didn’t order anything. Jake had to order off my credit card because he didn’t have one. ‘When did it arrive?’ I said suspiciously. Jake didn’t even now what was in the box our mum called us and said we had to go. We actually forgot about the box for a while after that. Months had passed and then we remembered about it. But when we opened the box it was the scariest thing we had ever seen. This is a very old story. So old, there there were boats made out of wood but let’s not get into that right now let’s get into the survival of this wooden ship catastrophe. One night when this wooden ship crashed, there was one surviver. He started on a small Raft, and began crafting, expanding, he’s Raft. From the wood and leaves he collected from the sea. He couldn’t get far because of the big, fat, hungry shark around him. The shark would keep trying to bite bits of the boat off. But one day there was a real catastrophe of the man falling into the sea, and I won’t say what happened next. But when did it arrive. When did this happen. Well I cannot tell you. I was cycling my bike down the street one day when I suddenly took a sharp turn and fell off my bike, which also landed on me. I got up and saw that it had fallen apart, I was devastated because I had no bike to cycle with my friends. When I got home I told my parents what had happened, they said “we don’t know when we can get you another one”. So I spent the next week walking next to my friends while they cycled. One day when I got home still very sad I saw my parents with a new bike for me ‘when did it arrive?’ I said . Author Posted on 1st May 2018 Tags Carrington2 Comments on The Mystery Ghost….. The world was coming to an end because of the soul stealer a girl called zia was running frantically to find some where to hid. From the soul stealer from stealing her soul but the soul stealer had wings and he was very fast and caught up to zia and stole her soul after he stole zia’s soul the soul stealer shouted with laughter when zia woke up her eyes were misty all she saw was skull person and loads of them having party’s when she got up she saw a crimson skull and went to the skull she said she had to go back to the earth the skull but she needed the life soul to be continued…..
once upon a time there was a girl called hannah she was a little girl she was walking along and saw a volcano AHHHHH shouted Hannah a volcano it is going to explode. I’m out of here BANG the volcano exploding. Right.i need to blow this volcano up . Now here we are this is what I need a rocket launcher BANG there is fire works YES I say to my self right bang it is exploding oh no bang I’m out of here I’m not dieing from this volcano I’m out of here frantically it was misty for some reason I’m going home I saw graves where people go in she went home. It was a cold misty day in Philadelphia. There was a huge prison being built. When it was finished they brought one million prisoners in. One day a prison called Misty was walking down a crimson pathway to there cell. Misty shouted so loudly at other prisoners the guards ran frantically to stop them. It turns out it was actually a signal to the other prisoners to escape. Misty then opened up some of the cells. The gaurds were in grave danger. A group of helicopters came in and almost all of the prisoners escaped in the helicopters. Author Posted on 1st May 2018 1st May 2018 Tags Damien G😎😎.2 Comments on The Dream!!! When I was at the worst place in the world.It was misty nothing to be seen.I frantically ran for my life so I would be late.When I went into my class my checks were the brightest crimson you ever seen.All the kids shouted I will prefer that this place was hell.I thought that I was in grave danger and I thought that I was also dreaming but I was not.I awake in a chair in fort of a table with people around me I was terrified.My teacher looked like the devil because he gives us to much homework.So I know I was in school. one day there was a man and he was mashed in the head. He was thick. And by thick I mean fat and stupid. He was an olodo rabata. He made no sence. He came up to me one day and started . He said to me would you slap me for a million. I slapped him and I said I sould slap u for free foolish boy . He called his mommy and her name was mommy OJO. She chased me and said don’t u dare touch my son again. Oloshi. I said back to her well to much jellof it runes ure brain. She could never catch me so she went back to her car. It was a normal night. The street was silent. Everybody was asleep. Well except for me. I was up,watching all the seasons of the flash. Suddenly a crimson colour mist appeared outside. Then I heard a man and woman, screaming,”help!” I went outside to see a man, with big cat eyes, and he said “how could you”, “Why?”. He’s eyes went misty. The mist disappeared with a grave that said,”R.I.P Misty, always will be loved and never forgotten, Misty Dextersom”. The women screaming stoped. I frantically ran into my house, and never ever, saw that man again.But the mist came back. Not once! One time. A dark misty night. No one in sight. A girl with crimson hair was wandering through the graveyard. When she was walking through this dark, spooky graveyard she heard a noise. It sounded like growling. Next minute she turned behind her, there was a zombie that popped out of a grave, she shouted. She started frantically running, running and running till she was out of the graveyard. The girl with the crimson hair was on the news, and said she will always remember this day. Now all the zombies have been extinct, and this could never happen again. One friday evening a crazy scientist created something that emitted poison that was very misty. It’s was supposed to increase your strength, but the side effect was death. This thing was then called a potion. After you drink it in the next 10 days parts of your body become crimson red. It would spread across your body and kill you. The first victim of it called Kyle shouted help me in the first 9 days. He was frantically jumping around like a fish. When he died they took him to a special grave. His family misses him a lot. Maybe the scientist is targeting someone else now? There once was a man called Dave he had a cat which was crimson red due to a disease called red atitis. When Dave was he kid he always wanted to be a superhero he forgot that tho. But one day his brother Larry found his drawing that he drew when he was a kid. When he did he shouted NO WAY! So what he did was he made the suit that he drew and called himself Paper Bag Man or pbm. And one day he tried to save a women who was getting robbed so he jumped in and he was in grave danger but it was misty so he was searching frantically and he got beat up so he is now instead of super hero he’s a stupid hero. One creepy and misty night I went to the grave stone of mad harry they say if you say his 5 times and he will come back to life. I shouted his name 5 times in a flash an explosion he was standing there shaking acting m mad he started following me I stared running frantically he grab my hand and crimson stared dripping from his mouth. He pulled me trying to put me in his grave I was crying saying stop but he wouldn’t let go he hit me with a shovel and put me in his grave and no won new I was gone. Day one,a day you’ll never forget,is a cruel crimson dungeon such as doing something small and unaffective like when you shouted’hey whats up’to your friend and a afro headed woman who looks like a pig did her make up comes and slaps you with a cane in the bum.I ran frantically to find the quickest misty thing to ware out the pain,nothing did,.You see when an african espionage teacher or parent gives you an enchanted slap its like your already at your grave but you have not arrived yet. And the worst thing is they know where to hit you because they have this kind of espionage sense. so beware.